The Euro-Mediterranean Economists Association (EMEA), represented by its founding President, Professor Rym Ayadi, and the Tunisian based business magazine “le Manager”, represented by its executive director, Dr Sahar Mechri Kharrat, signed a Memorandum of Understanding (MoU) with the purpose to jointly explore ways to cooperate in implementing their respective mandates, including and not restricted to promoting entrepreneurship in Tunisia and in the MENA region, as well as, develop new related activities and actions. As part of this agreement, EMEA will fund the prize for the “Femme Entrepreneure de l’année 2019” for an amount of 3500 euros in the form of a mentoring program or a participation in an industry congress of global outreach. LE MANAGER considers EMEA as a partner and will provide visibility to EMEA through all the published supports and during the ceremony. Furthermore, Euro-Mediterranean Economists Association is honored to welcome Dr Sahar Mechri Kharrat as a member to the EMEA Expert Panel. Dr Sahar Mechri Kharrat holds a PhD in Economics from Paris 1 Sorbonne University. She teaches microeconomics of uncertainty and macroeconomics at IHEC Carthage. She is interested in the issues of international trade and the role that governance can play in developing countries. In addition, she is the executive director of the magazine “le Manager”, a monthly business magazine of the leading media group, “Promedia”. She runs annual survey or employability of Tunisian universities. She is mainly committed to the issue of women’s empowerment and leads the Women Entrepreneur annual Awards. Le Manager aims to provide business and economic information and insights through both print and online magazines. The latter closely follows and disseminates information about business world, entrepreneurs and support structures. 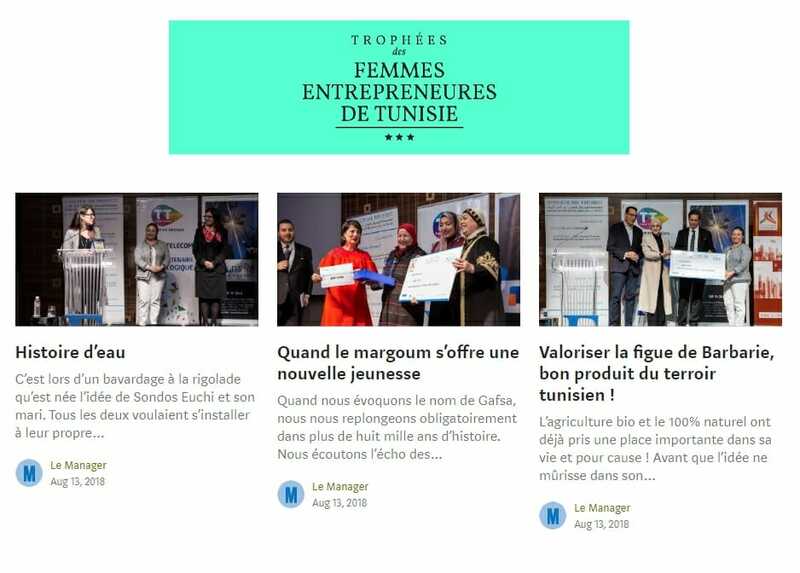 Female entrepreneurship is one of the main focuses of le Manager and an annual trophy is organized in order to highlight and reward successful female entrepreneurs. The Euro-Mediterranean Economists Association (EMEA) serves as a leading forum for thinking and debate on the political and socio-economic reforms in the North, South, East Mediterranean and Africa, with the aim to promote sustainability and regional economic integration. It aims to contribute to the changing realities in the Euro-Mediterranean region by bringing together leading economists and high-level experts to think for the future of the Euro- Mediterranean region in a global context. It will strive to contribute to the rethinking of the Euro-Mediterranean and African economic policies in view of the new dynamics of a multi-polar world. EMEA promoted and co-funded the Euro-Mediterranean Network for Economic Studies (EMNES).